When you buy your car insurance, you want a great price. When you need your auto insurance, you want great service. 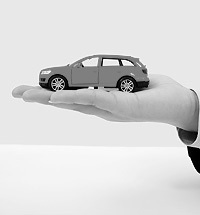 Here’s how we provide affordable car insurance, handled with care. It’s your home. Your castle. The place you rest your head. Whether you’re in your first home or you’re an experienced homeowner, our homeowners insurance and condo insurance benefits, coverage, discounts and payment options can help you save! And, our client service team provides best-in-class service while you do. Commercial insurance includes coverage for your buildings, permanently installed equipment, outdoor fixtures, business personal property (including computer systems), electronic media and records, and your interest in tenant improvements and betterments. Don't forget to protect the most valuable asset your family has: the income that the family breadwinner brings home every week. Without life insurance coverage, an untimely death could derail your family's plans and dreams for the future. Choosing health insurance is one of the most important choices you can make to help protect your family’s health and well-being. With so many types of health insurance, ways to get coverage, and words you’ve never heard before, understanding health insurance can be a challenge. We're here to help.